Have you finally decided to act on the bucket list fishing trip that you’ve always dreamed of? After all, you only live once, so why put this amazing adventure off any longer? When it comes to your bucket list, there’s no better place to fish than the waters of Ketchikan, Alaska. The scenery and diverse fish are key pieces of achieving your dream trip, but you can’t underestimate the importance of finding the right charter for this. That’s why choosing Anglers Adventures & Outfitters to lead you on this journey is the best decision that you can ever make! It all starts with Brian Ringeisen, our captain at Anglers Adventures & Outfitters. We believe that there’s no one that knows the Ketchikan waters as well as Brian. We may be a bit biased, but no matter what type of fish you’re looking for, or if you also want to see some wildlife during your fishing trip, he has you covered. With more than 26 years of guiding experience, Brian is ready to help you check off this bucket list item once and for all. To top it off, Brian is licensed and insured, is CPR and First Aid certified, and has been a U.S. Coast Guard licensed captain for 25 years. 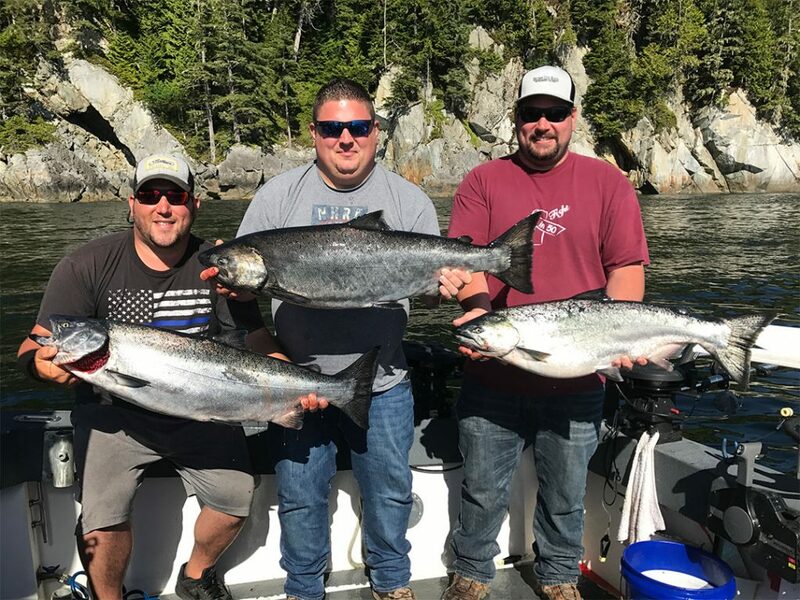 Past clients have raved about the personalization and overall experience that they received from our crew, and we’re confident that you’ll feel the same way after your chartered fishing trip with us. With multi-day charters available, you’ll have plenty of time to get things done on your fishing adventure. Just be upfront with us when it comes to your fishing goals, and Brian will develop a fishing trip that you’ll cherish forever. Want to fish for salmon? Well, these waters are home to a wide range of salmon including the King, Silver, Chum, Pink and Sockey Salmon. If you’re looking to catch the big dog when it comes to size, the King Salmon is what we’ll aim to find in these waters. Halibut fishing is another popular fish that our clients enjoy catching. So, if you’re ready to turn your dreams of an Alaskan “bucket list” fishing trip into a reality, Anglers Adventures & Outfitters is ready to help! To set up this once in a lifetime fishing trip, pick up the phone and call Brian today at (907) 254-0880.